IMG_6825, originally uploaded by jseattle. Sorry for the delay in this week’s food+drink notes. CHS suffered a major disruption thanks to a power outage with our site hosting service. If you’re not a friend of our social media accounts, you might consider making a note of the CHS Facebook page and @jseattle on Twitter to keep in touch during any site outages. The Garage pre-dates the food and drink neighborhood that has grown up around it — and is coming its way by foot and by train. 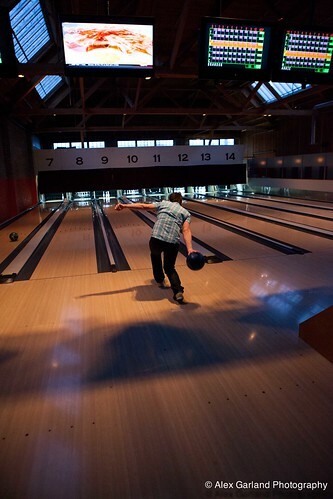 “When we opened in 1995, there wasn’t that much going on on Capitol Hill,” the bowling and pool hall’s Mike Bitando tells CHS. This week, the 18-year Hill nightlife veteran begins an overhaul of its connection to the street with a couple hundred thousand dollar redesign of its Broadway patio that will transform the space into a stage to be seen and see the energy of the street outside — and add a new bar, a sure to be popular fire pit and, of course, a Seattle rain-inspired roof to keep the space active year round. “Let’s open it up so you can sit out there, be seen, see other people, see the streetcar,” Bitando said about the project. The changes are expected to be in place by the start of June — perfect timing for the heater-warmed space given Seattle’s typical starts to summer. IMG_6860, originally uploaded by jseattle. IMG_6852, originally uploaded by jseattle. In the scheme of things, an overhaul of the a 2,000 square-foot patio might not seem highly significant to a food and entertainment complex filling some 44,000 square feet on Broadway near the intersection with Madison. But the change will be the latest reinvention and investment in the business that has continued to grow around the Garage. IMG_6876, originally uploaded by jseattle. The business started, Bitando said, as a restaurant and bar in 1995. 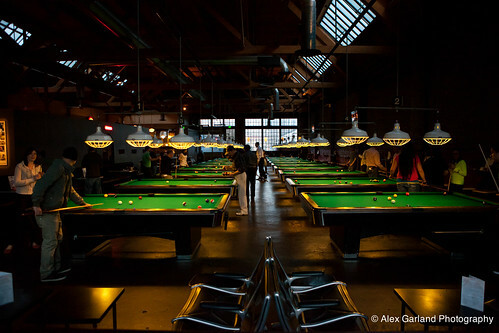 Alex and Jill Rosenast purchased the building and made the first expansion in 2003 as they grew the Garage into a higher end pool hall. Today, with bowling lanes and a full hall of pool tables, the Garage has grown into an event-hosting machine with Bitando estimating business split 50/50 between the events and walk-ins. Improving the Garage’s connection to Broadway as elements like the streetcar increase activity even on this less pedestrian-focused area of the street could swing that split more toward walk-in business. Bitando says the plan is to wait and see. There’s a new chef in place in Lee Hunter who is charged with helping the Garage keep up with the competitive neighborhood and feed hundreds of people at the constant flow of events hosted there. 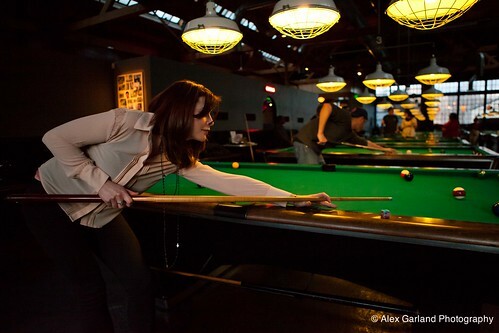 Like other veterans of Capitol Hill food and drink we’ve profiled, the Garage is working to optimize its assets both to compete and to take advantage of the opportunity in the neighborhood’s burgeoning entertainment economy. 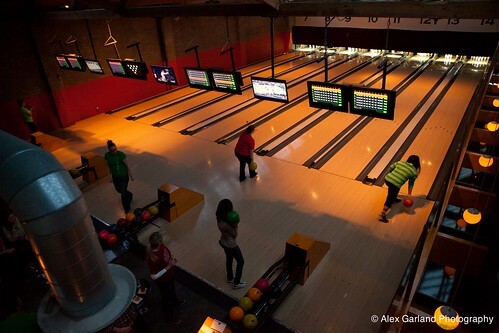 Speaking of the Garage, you can visit Sunday for the 11th annual Seattle Bowling for Equality fundraiser for the Human Rights Campaign. If you missed it, CHS featured some big development news for 15th Ave E with food and drink implications. A four-story apartment building is slated to replace longtime Indian favorite Chutney’s. We’ll have more from Chutney’s on the situation soon. Across the street on 15th Ave E, there’s nothing new in the Canterbury situation, at this point. You eager for the new The Old Sage on 12th Ave from the guys behind Tavern Law? We’re told you still have a few more weeks until space is ready for business. Time to start checking in on Bakery Nouveau Capitol Hill and Capitol Cider, too. Ethan Stowell is among three Washington chefs still in the running for James Beard Award. Here’s what his new Bar Cotto neighboring Anchovies & Olives looks like. The new Rain Shadow Meats expansion to Pioneer Square includes a menu of lunch items. The Stranger checks out happy hour at Speckled & Drake and finds free Cheetos. 15th Ave E’s The Shop Agora is proud of their Food & Wine Magazine nod. First Hill’s The Hideout is turning 8. Which reminds us that we need to catch up on Hill restaurant and bar birthdays. Soon, friends. 8? Big deal. The Eagle is turning 32. Basement wanted for small Capitol Hill winery? Seattle Times says Plum Bistro’s vegan food truck will hit the street in May. Capitol Hill’s Li’l Woody’s has the best hamburger in the city… according to this. Seattle Magazine looks at “future homes of five Seattle restaurants (and one bar)” — each on or near Capitol Hill. Longtime Cuff security lead Daddy Jeff is retiring (with a party!) to focus full-time on his E Pike shop Doghouse Leathers. Across I-5, Minor at Howell is getting a Pho Bac, liquor license says. How to make (and pronounce!) pho featuring Eric Banh of Ba Bar. I’ve tried the new Pine Box menu, it’s nothing to write home about, the old menu was far superior. At least have a pepperoni pizza on the menu.. how hard is that? Mmmm, I need pho immediately.